Feelosophy is an innovative mobile studio that combines restorative yoga, massage, and music. 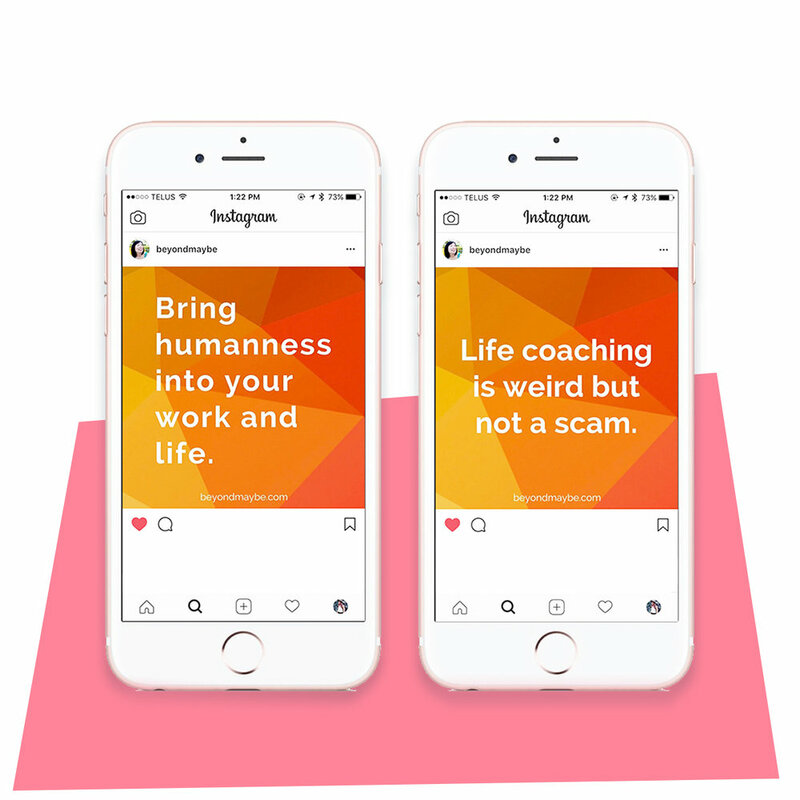 Feelosophy's founder Ashley, wanted a logo that embodied human connection, that was both soft and iconic, using the signature colours of the Feelosophy brand (black and white). The result was a logo mark of two arms embracing one another, symbolizing the feeling of coming together. This mark works either on its own or together with Feelosophy's tagline #allthefeels - a perfect addition to their upcoming apparel line. Crystal Lee is a Laughter Yogi, Life Coach, Group Facilitator and the founder of Beyond Maybe, her wellness and coaching practice. I initially worked with Crystal designing her business cards and a promotional postcard. We all know most business cards get tossed away quickly. Knowing that, we wanted to do something special, so we added a positive quote on the front that both describes what Crystal does, and motivates whomever receives it. We used the colours and geometric shapes from the cards as inspiration for Beyond Maybe's new logo. Crystal had a very specific idea of what she wanted it to look like: a geometric speech bubble to represent communication and coaching. I was excited to take that concept and transform it into her new logo mark.